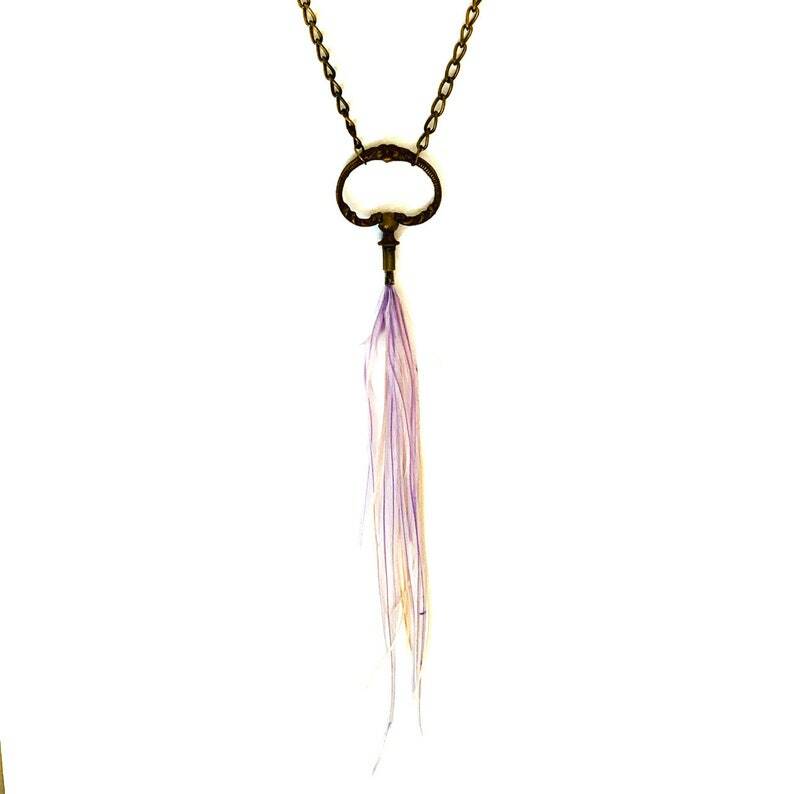 Ready for your favorite summer festival, this one of a kind piece was made with upcycled antique drawer hardware, vintage chain, and upcycled ostrich feathers that were dyed a pale lavender. 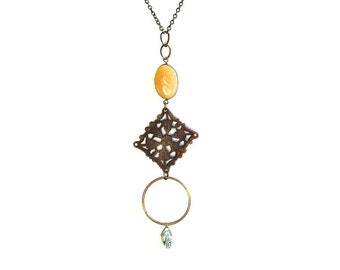 Hang it in a window as a ward, or wear it on a road trip. 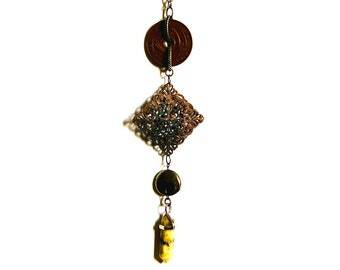 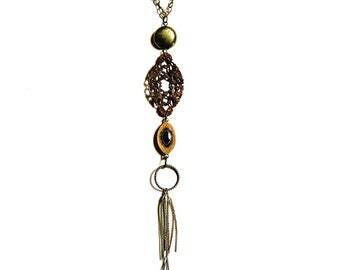 The length of the necklace is from the tip of the feather to the top of the drawer pull.